Do you often find yourself frustrated at the lack of sign ups on your blog? Perhaps you’re receiving traffic, but nobody is sticking and you are wondering how to increase conversions with your blog. You then find writing content a laborious task, that ultimately won’t bring you the results you need to further your business. However, if executed correctly blogging is a fantastic way of generating leads through email signups, encouraging downloads, increasing your social media following and inviting people to register for events you might be running. Before we get into the business of how to acquire leads, let’s touch on the benefits of a blog from a technical aspect. Search engines love fresh, unique content and this gives Google something to index on your site. Long gone are the days of keyword stuffing, content is now king! To read more on this subject and the emergence of ‘semantic search’ I’d thoroughly recommend David Amerland’s book on the subject. Having just mentioned that ‘content is now king’, this is where people invariably make their first mistake. This is taking too literally, and websites begin churning out post after post like they are about to go out of fashion. In order to get the information you desire, or to get the reader to perform the appropriate action you need to remind yourself of the old sales mantra ‘people buy from people’. Therefore in order to gain their trust and sell to them you need to be a great storyteller, who is also an open book. We live in a day and age where people can earn up to $15,000 for simply posting a picture on Instagram, which is the case for fashion blogger Danielle Bernstein. Why is that you might ask? Her 1 million followers trust her. So when advertisers want their products advertised and Danielle obliges, Danielle gets paid! To quote another saying, it’s worth noting then that ‘less is more’. If you are able to convert people on your blog and do the hardest part, which is making them return, it’s better to post a weekly high quality, unique post rather than the scattergun approach. So what are some good tactics to collect data from visitors? As mentioned your primary focus should always be on converting first time visitors. On our blog we knew we were writing helpful tips for online sellers, but we ran with a solitary banner at the top of the page, which had the message ‘Did you enjoy it?’ and asked for people to enter their email address, it wasn’t strong enough. We A/B tested a few variations and eventually ran with the example below which helped us obtain 33 email address in a week, which for a startup tech company, was impressive. This was all run through Hello Bar. You can pay for this service, but the free option is more than adequate. The biggest factor behind this was that we didn’t want customers to think they were signing their life away. Therefore we avoided words like ‘Subscribe’ & ‘Sign Up’ which are overused, opting for ‘Send Me Top Tips’. This message is also reinforced by letting people know it’s weekly and that they can unsubscribe whenever. You want people to feel they will be a part of an exclusive club and that if they aren’t then they are missing out. Another good example of this is Shopify, who state the amount of people who have already signed up. The big advantage of Hello Bar is that you have the options to not only collect email addresses, but promote a sale or get the user to like you on Facebook. You can then decide to be a bit more self promotional with your product on Facebook with sponsored posts, where it’s generally more accepted than on your blog. To get your name out there you must make it as easy as possible for people to share you article. On our old blog we (like many people) had the share buttons placed below the author bio in the footer of the article. On average we would gather between 10-20 shares as a result. The biggest adjustment we made when redesigning our blog, was to have the share options follow you down the screen. We felt the quality of the content was the same but making it easier for the user helped us gratefully in gathering exposure. 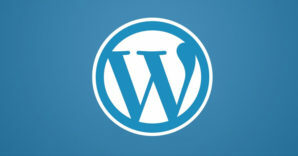 If you are using a WordPress blog another trick to garner shares is to embed tweets within your articles. It couldn’t be easier as well, just click the date next to your tweet and then copy and paste the URL into WordPress, no HTML needed. This gives the user the option to retweet or favourite your tweet without leaving WordPress, additionally they can also follow you. Alternatively you can use something like Click to Tweet. Have you written an especially good post of late or offering an ebook? Offer a snippet of the article and request an email address in order for them to read the rest. Unbounce do this well by writing articles based around landing page’s and then offering this to get more. Another great tactic is to include infographics and images throughout your piece and make these shareable on social networks like Pinterest and Tumblr. The ‘less is more’ mantra holds true not just for content, but also for design as well. In our old design our message was too conflicted. There were share buttons, a search and a subscribe bar all within close proximity. A good article to look at simple and effective design is this one from Hubspot. A comments section at the bottom of posts is a great way of interacting with potential customers. People leave comments because they either agree, disagree or have something further to add. We have begun asking questions either at the beginning or end of our articles such as “Know of any tips? We’d love to read your comments in the box below”. Also a headline above the comment box such as ‘Have your say’ is a good way to encourage participation. If you download something like Disqus, you will be notified when you receive a reply as well. This article by Neil Patel for Quicksprout is a great read on this subject of commenting. Despite these tips, some people might still not leave comments due to the fact they only have an opinion about a certain paragraph or sentence. Medium allows their visitors to leave comments on paragraphs rather than the post as a whole which is a great idea that could become very popular. In conclusion a blog is an accurate source of information, that has technical benefits and is cheap as it only costs you your time. Get it right and it gives your company credibility, brand identity and can establish you as an industry leader. To practice what I preach, if you agreed or disagreed with anything in the article or have any further points, please leave a comment in the box below. Richard Protheroe is a content marketer at Veeqo who make sellers' lives easier. Connect all your sales channels such as Shopify, eBay, Amazon and Magento in one centralised place.